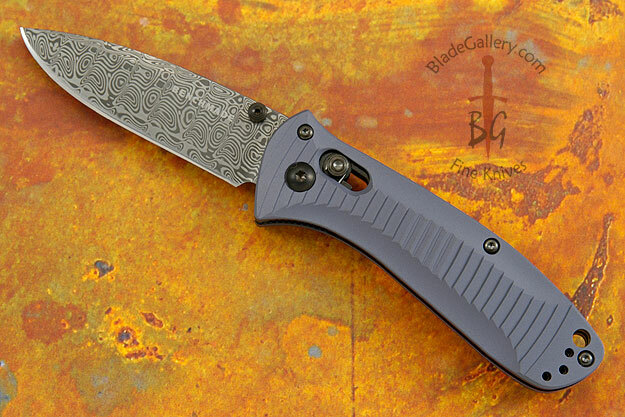 Description: The 525-111 Presidio Gold Class clearly shows how clever design contributes to a beautiful knife's optimal performance. Benchmade's Gold Class clearly sets the new standard of what is possible in premium knife manufacturing. It’s quite simply the best of the best. Made in USA. 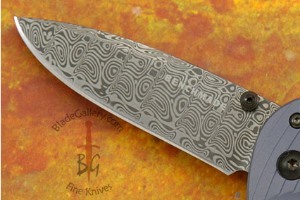 The modified drop-point blade is formed from Damasteel stainless damascus. 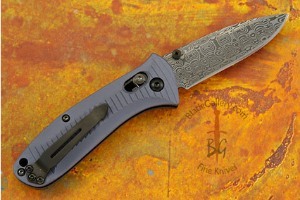 Sleek aluminum scales are anodized to a military-style blue/gray and set on DLC coated stainless steel liners. 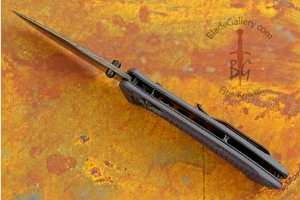 Back spacers result in decreased weight, while a lanyard hole offers carry options. 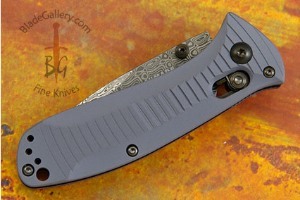 A reversible DLC coated pocket clip (for left- or right-handed carry) and ambidextrous thumb stud complete the piece. The patented AXIS mechanics ensure the knife feels as good as it looks, and performs just like those good looks promise. The 525-111 series is limited to 150 pieces, with this item bearing the number #71. 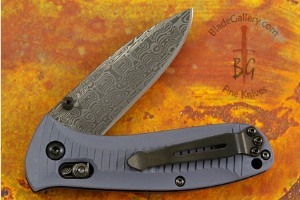 The knife is numbered on the blade and is accompanied by a custom presentation box.